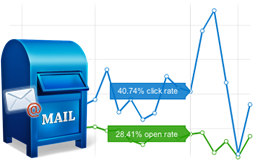 Mailman offers everything you need to create and send successful email marketing campaigns. Deliver beautiful e-blasts, manage your subscribers and track your campaign results, all from within your browser! You or your team can manage everything or you can Have us manage it. Email design, coding and execution. Copy writing to make sure your message is clear. Email list generation, optimization and segmentation.